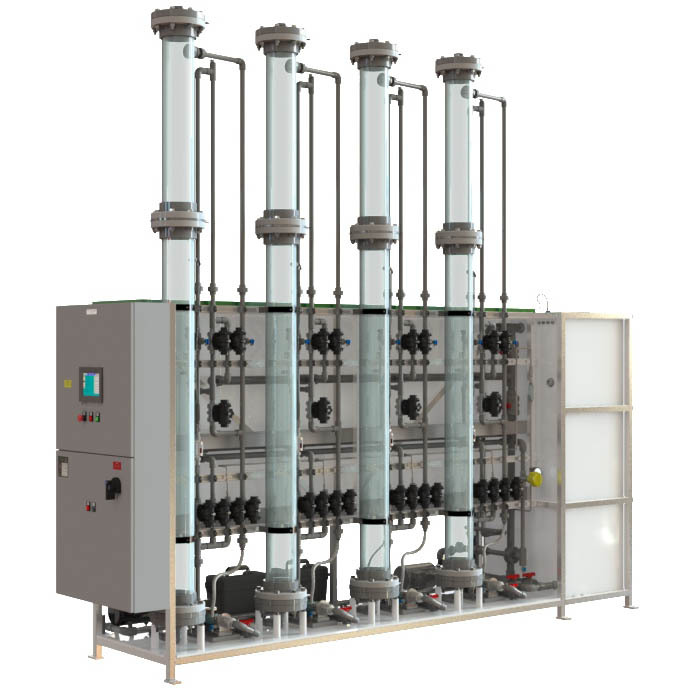 Module consists of four constant rate filters with individual feed pumps, an air scour system, and a backwash system. 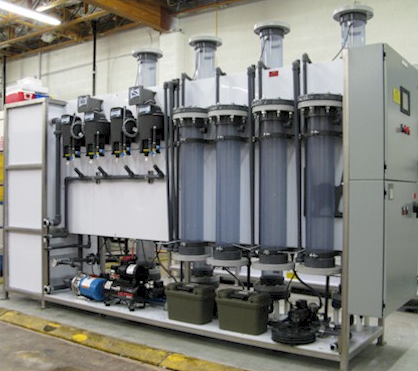 Each filter is independent with automatic flow control. 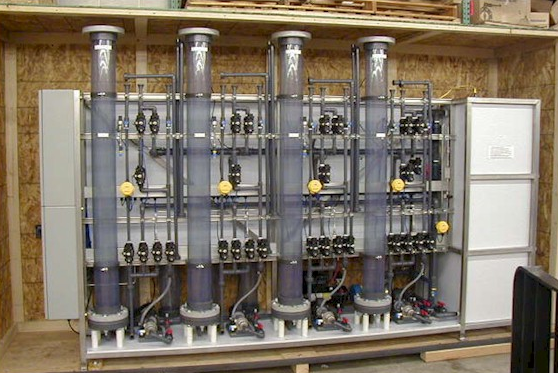 The air scour and backwash systems are shared by all filters, and also utilize automatic PID flow control. Backwashing is automatic and is initiated manually by an operator in the manual mode, or on runtime, headloss, or effluent turbidity in the automatic mode. Only one filter may be backwashed at a time. Other features include automatic data logging of key parameters, remote monitoring and control using a standard web browser, and email alarm notification.